Amazing New SEO Case Studies: 842.4%+ Increase In Traffic! Want to see some cool case studies of recent SEO results we’ve got for our clients? Below we detailed out 4 case studies from various niches that got some great results in only just a few months. 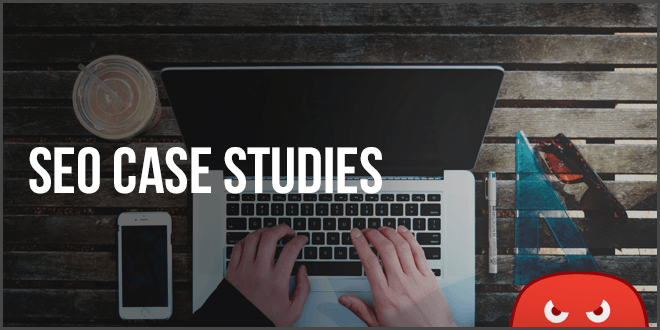 All of the case studies are from clients on our HOTH X managed SEO program. You can learn about the strategy behind all these case studies here. This one was a bit different than our other case studies in that they had actually started doing SEO on their own with us around January 2016 before they hopped on HOTH X mid 2017. As you can see, by following a strategic plan, you can get some pretty impressive results in a short period of time. All these clients are on our HOTH X managed SEO program. We encourage everyone to be consistent in their SEO plan and stay on for at least 3 months to start seeing results. Great article, and awesome incremental of traffic. I have a website with similar conditions, in fact, I registered it in 2013. Could you help me with an audit? Hey, The first thing we do in HOTH X is always audit the site. Do you offer an SEO audit prior to purchasing the package? I have been burned by multiple companies offering these services and I am worse off now than before. Hey Craig, As part of the HOTH X process we do audit your site for any red flag issues, penalizations that would prevent you from ranking, over optimized anchor text, and more before we start work. a perfect report! thanks and promising forward! Excellent story. it was great to have read this, now I was encouraged to buy some services The Hoth. So are you saying that with 1 guest post there can be a huge rank increase? SEO has come a long way since 2008. Its very complicated indeed, I guess its best to hire a company like Hoth to take care of all the complicated work. 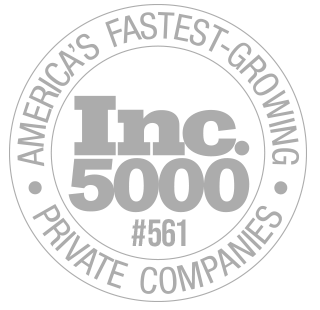 Do you have any results from a brand new site versus a site that is several months/years old? Nice to read, this is perfect, could you please tell apart from the guest post what are the activities you do for getting organic traffic? There are quite a number of ways to get organic traffic other than guest posting. Some of the methods we use to get organic traffic are: optimizing onpage SEO, blogging consistently on our own blog, using long tail keywords, linking to our content on social media, and many other methods. Outreach to other blogs and influencers is definitely a great method to implement, you can read more about doing it in this post on blogger outreach. By using one of my keyword , my blog link is vanished from the search result. It was on page 1, top position, then it went backward, to page 4 or page 5. But now can’t find on anywhere. What could possibly go wrong? There are a lot of factors so it’s very hard for me to say what went wrong in your case, Munna. If you remember the exact change that you did, that could help you find out what the factor is that changed it, but it could be something other than that keyword you used. One thing you can try is updating your content to improve the overall quality, is it similar to the content on page 1 ranking for the same keyword? YOEST SEO plugin, I am suspecting it. There were lots of images and I think google made a penalty for thin content. I am also improving the on page content to match with the top position article now. Thanks. That makes sense, the recent updates from Google are targeting thin content signals from pages that don’t have much on them. Another thing to try when you improve the on-page content is to switch up some keywords. You can make it more natural by using keyword synonyms. Great case study and insights. 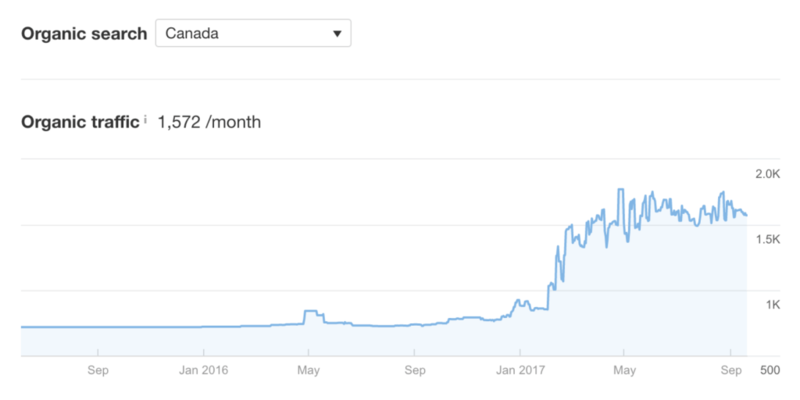 This is an amazing case study about SEO and how you were able to get results in 3 months. 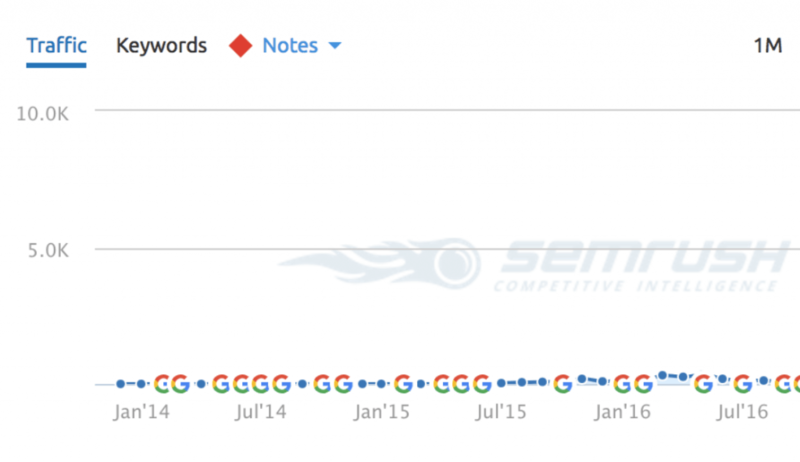 People or SEO agencies wait for 10 to 18 months to see a similar rankings boost. For keyword research which tool did you use? Was it Ahrefs or another? How accurate was Ahrefs if that’s what you used? 3 months is the typical minimum waiting period to see the effects of SEO, but I agree that waiting longer to see the effect is usually needed. We use Ahrefs nowawdays and find it to be very accurate – you just have to check and see when the data point was updated (Ahrefs provides the date their crawler updated the information next to each item on their chart). I am working on tuition-services(. )com/ since 6 months but there is not satisfactory results. Can you please help me? Please submit a ticket with our support department and they’ll be happy to help you. What page has the “Packages & Pricing” that list Hoth Results? I don’t see it listed on this page or under HOTH Products? We’ve recently changed our link building service to “Foundations” with small, medium and large size packages. Do you have any case study in Job Search niche? I don’t think we have a case study made for Job Search specifically. But to be honest, these strategies will work for just about any niche! What an excellent post I am very glad to read this. Do you have any suggestions to rank high in Bing? Many of the same principles that apply to ranking highly in google apply to bing. My suggestion would be to take a look at the top ranking content in bing for your target keyword and identify what those content pieces have in common so that you can make yours similar/better. Very good and informative. Can you suggest other ways of link building other than guest posting? Does commenting still help?